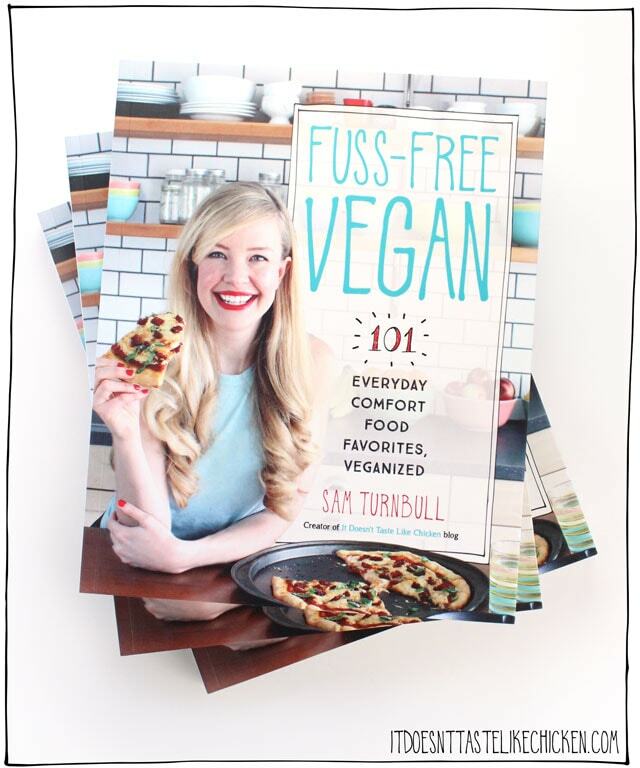 On the 8th day of giveaway my true love (Sam) gave to me, a signed and personally inscribed copy of Fuss-Free Vegan!!!!!! 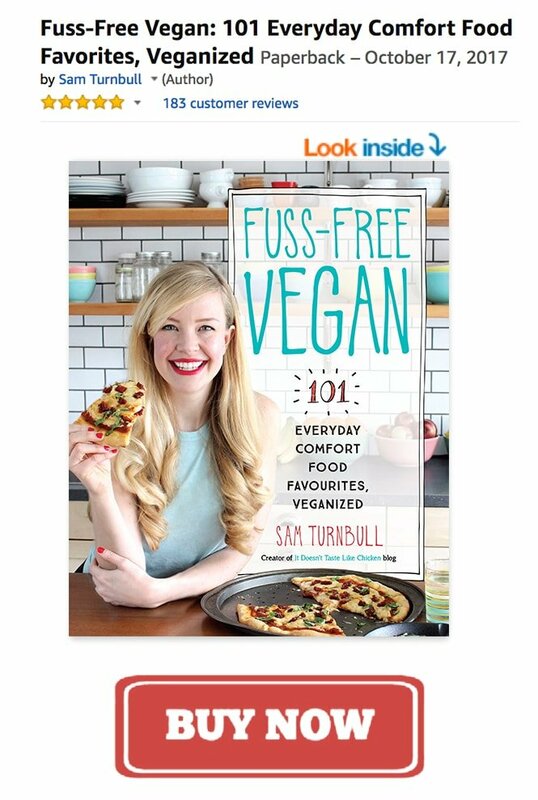 After only one month since it’s release Fuss-Free Vegan has already been ordered for reprint! Woot woot! Does that make this first edition rare? Who knows! I’m giving away 3 copies of my cookbook that I will sign and personally inscribe with the message of your choice. Woot woot! I have been blushing constantly with all of the amazing 5 star reviews that I have been receiving on Amazon from people who are just loving my book. Having the honour of writing a book and then the amazing reward of readers loving it has been an unreal experience! 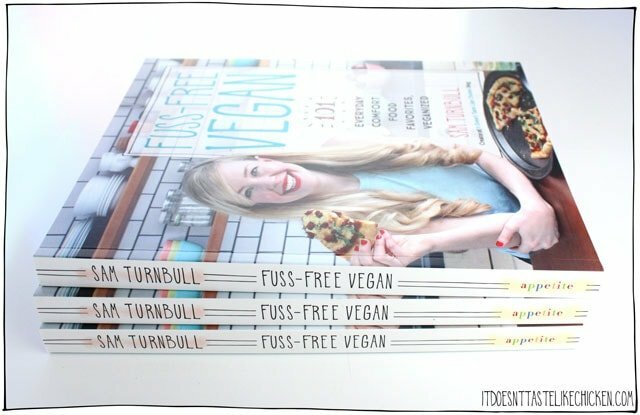 3 lucky winners will each receive a copy of Fuss-Free Vegan which I will sign and personally inscribe with whatever message they like! Previous Post: « Moo Free Vegan Chocolate Giveaway! Haha! 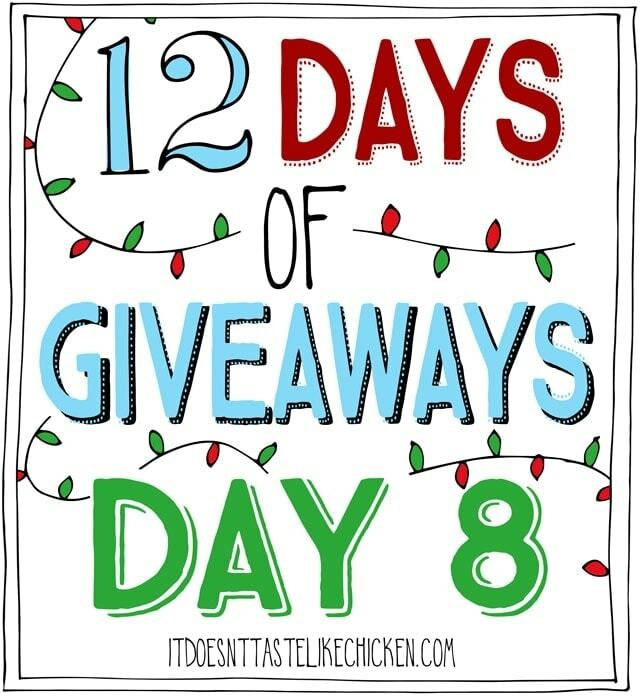 But so many amazing prizes yet to come!! I made your peanut butter cookies this week and they were BETTER THAN MY MOM’S recipe! Two thumbs up Sam!